The move raises the stakes in a bitter, long-running confrontation between the European Commission and Poland’s right-wing government over the rule of law in the former communist state. 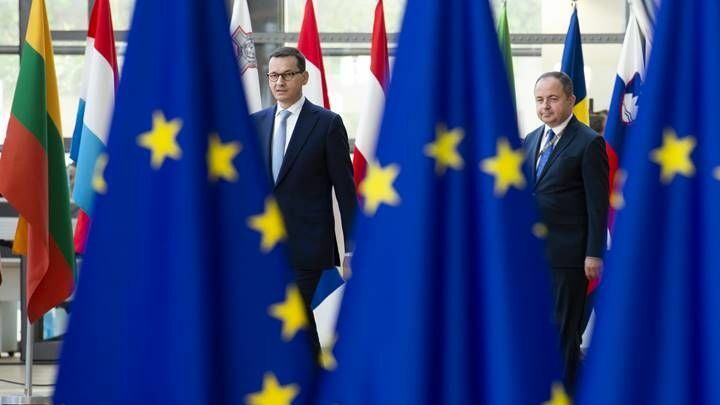 Brussels launched so-called infringement proceedings against Warsaw on July 2 over the controversial changes that critics say put the judicial system under government control and are a threat to the country’s democracy. The European Commission said that after carrying out a “thorough analysis” of Warsaw’s response, it had now decided to begin the second step of legal action against Poland. “The response of the Polish authorities does not alleviate the Commission’s legal concerns,” the European Commission said in a statement. “The Polish authorities now have one month to take the necessary measures to comply with this Reasoned Opinion. If the Polish authorities do not take appropriate measures, the Commission may decide to refer the case to the Court of Justice of the EU,” the EU executive warned. Poland could face huge fines if the EU’s top court rules against it. The retirement law came into effect last month and lowers the pension age of judges from 70 to 65. It affects 27 of the Supreme Court’s sitting 73 judges including chief justice Malgorzata Gersdorf, who has refused to step down, slamming the measure as a “purge” that breaches her constitutionally guaranteed six-year term ending in 2020. In December Brussels triggered unprecedented Article 7 proceedings against Poland over “systemic threats” to the rule of law, which could eventually see Warsaw’s EU voting rights suspended. Emini S&P Trading Secret method is the easiest way to make money, want to learn more? Just Google Emini S&P Trading Secret and you’ll see what I mean.